This week I have been having memories of Grade School in Ashland, Kansas. The memories are from only one year as we moved to Ashland the summer before I entered 6th Grade. My most vivid memory from the first week of school was participating in a reading placement evaluation with Mrs. Gilmore. 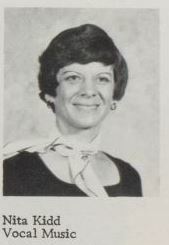 Beverly Gilmore was the Remedial Reading teacher, and was also responsible for evaluating new students for placement in reading groups. I can still remember portions of the testing. I was placed in the top reading group, but was also assigned additional advanced work to keep me challenged. I learned over the weekend that Mrs. Gilmore passed away last week, and this is what has triggered my memories. 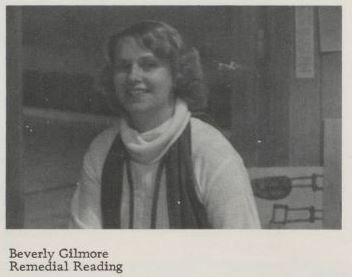 I also found out that Mrs. Gilmore was born in Hamburg, Iowa where my Dad went to High School. However, her family only lived there for a short time. I have many more memories of her husband who was my teacher for many classes over the next six years. 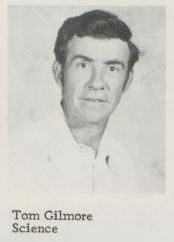 He was also one of my coaches in sports and I was his teaching aide during my Senior year. Back to my Grade School memories now. My class was one of the largest classes to go through our school system with more than 30 students. Therefore there were two 6th grade teachers. 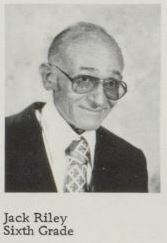 I was fortunate to have Mr. Riley as my teacher. I have some good memories of him, especially taking a field trip to his house to watch a total eclipse on TV with my classmates. 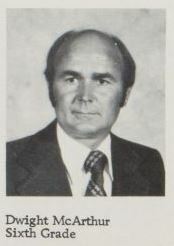 The other teacher was Mr. McArthur. I had him for a few subjects as the teachers shared the workload, but I really don’t remember him very well. There are definitely some blocked memories. I do however remember the teacher who took his place partway through the year. I also have memories of Music classes with Mrs. Kidd. Our class met in a room under the balcony of the gym. 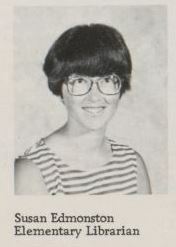 Of course, I remember Mrs. Edmonston who was the school librarian. You know how important libraries are to me 🙂 I checked out many books from the school library, as well as from the public library. Other memories flooded back as I flipped through the pages of the annual from that year, but they will be saved for future posts. This entry was posted in Culture, Memories and tagged Ashland, Ashland Kansas, Coach, Grade School, Kansas, Librarian, Reading, Teachers. Bookmark the permalink.